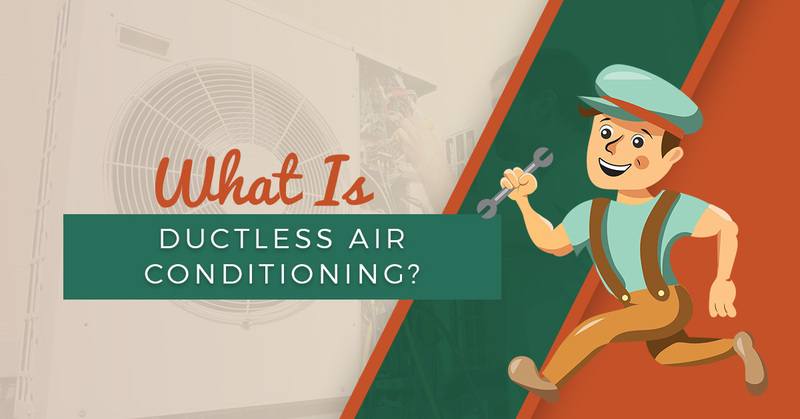 Ductless air systems — heating or cooling — are, as you may have guessed, ductless! These ductless heating and cooling systems were designed for homes that do not already have ductwork or ventilation systems installed. Whether you rent or have purchased an older home that has no ductwork, ductless heating and cooling options may work for you. Follow along in today’s post as we review how ductless heating and cooling options work and where they are most practical to use. If you need help installing your ductless heating or cooling systems or want to know if your living space can have ductwork installed, contact the HVAC professionals at Comfort Pros Heating and Cooling today! What are ductless heating and cooling systems? Ductless heating and cooling systems are those that do not require access to a ducted ventilation system. Using single-zone or multi-zone systems, the heater or air conditioner is hooked up to a single exterior compressor. Aside from it being absent of ducts, these systems operate the same as traditional ducted heating and cooling options. If you require multiple multi-zone systems, it may require additional exterior compressors. Ductless heating and cooling options ideal for a variety of living spaces! For older homes or homes that were not equipped with ducted ventilation, ductless heaters or air conditioners can help provide circulating air without the dangers of space heaters and are much more efficient than window cooling units. Homes that have homeowners associations that prohibit window cooling units such as swamp coolers, ductless air conditioners provide an option that does not affect the outside appearance of the home. Hanging the inside unit requires a small hole for the pipe that connects the indoor wall-hanging unit and the exterior compressor. Exterior living spaces such as garages, sheds, and detached workrooms. Whether you use these spaces for storage or as a carpentry shack or spare bedroom, ductless heating and cooling options can help keep the space comfortable and expand your livable square footage. Apartments and condos that are not already equipped with ducted ventilation are extremely difficult to add ducts to, and chances are those are not modifications that you will be authorized to make. If the multi-home building is not equipped with ducted ventilation, ductless heater and air conditioning options are ideal. If you add an addition to your home, such as closing in your garage or building a new room addition, you should be able to tie the new space into the current ventilation. However, if this is not possible, or you opt not to, ductless heating and cooling options will work just as well. At Comfort Pros Heating and Cooling, our experienced HVAC technicians can recommend the best heating or cooling options for you and your space. 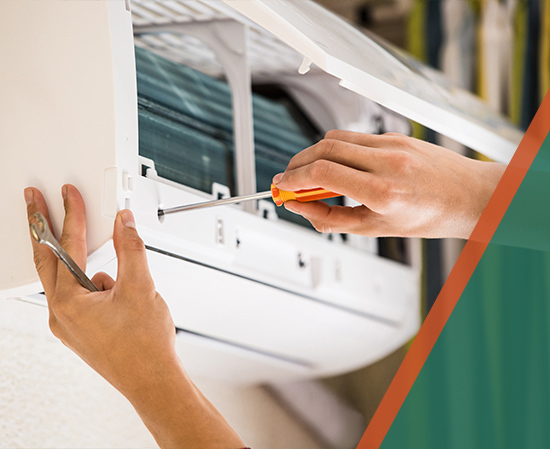 Whether you need a furnace, air conditioning, or ductwork installed, or you are considering using ductless air options, we can install, maintain, and repair it all. Contact us for your free estimate or to schedule your HVAC service today!